What is it that motivates people to give everything in order to achieve their goal? How do you create an environment that allows motivation and success to flourish? This theme has caused much head-scratching in the past for personnel experts and coaches. 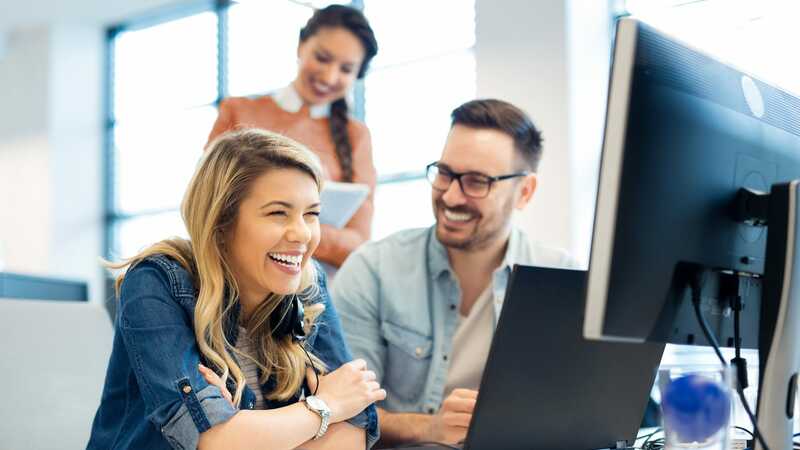 The fact is that plenty of scientific studies have confirmed that companies operate more efficiently and achieve greater financial success if employees are happy. These days it isn't just personnel experts who are concerned with the question of happiness and satisfaction, it's architects, designers and managers as well. The study results identify soft factors that affect how happy people feel, for instance promotion of health in the workplace, flexible working hours, rapport with colleagues, relationship with the boss – and maximum alignment of personal values with corporate ones. But the design of the working environment also determines whether people identify with the company and feel at ease there. On that basis, job satisfaction isn't just a question of recruiting the right candidate for the role, it's also about getting the room concept right. A well-designed office environment offers different areas for different working styles. One zone for focused working, another for creative teamwork. There are lounge areas for informal chatting, and retreat opportunities for those who want to make a private phone call. The outfitting should include options for individual needs and ensure that people feel at ease. You see, employee satisfaction pays dividends for companies, too. König + Neurath develops solutions that help to shape the transformation in the workplace. Interdisciplinary teams use the WORK.CULTURE.MAP to analyse the work culture of their customers and design working environments based on the work culture in that organisation. 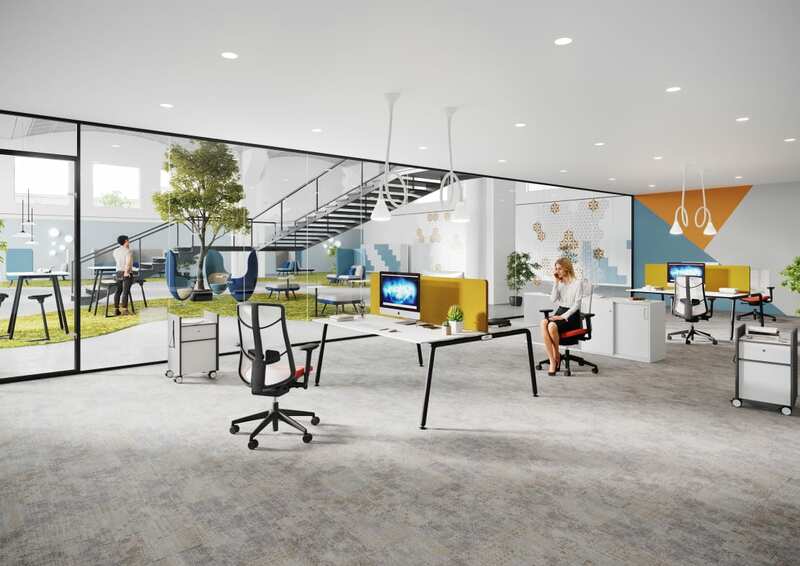 As a result, offices are being created that enable and encourage everything that's important to companies and employees today: flexibility, diversity, teamwork and greater individual freedom than ever before. Wellbeing is something that's also expressed through posture and attitude. If you feel at ease, you smile more. And we've known that laughter is healthy for a long time – well before laughing yoga was invented. Keep on smiling. Keep on working.